He was right, and that frame of mind brought a group of us that were traveling recently in Baraboo, Wisconsin to the Broadway Diner for breakfast. Chad and Dave Elmore had already cased the joint and tried it the day before so I can’t claim finding this 1950’s treasure myself. We all had varied items off the menu with the consensus that “it was great”. This could easily have been the end of the story, but thankfully Steve Harwin of Diversified Diners in Cleveland Ohio bought the diner, hoping to find a buyer and then restore it. HIs wish was granted when Jeff and Vonnie Castree found out about the diner and purchased it in 2011. 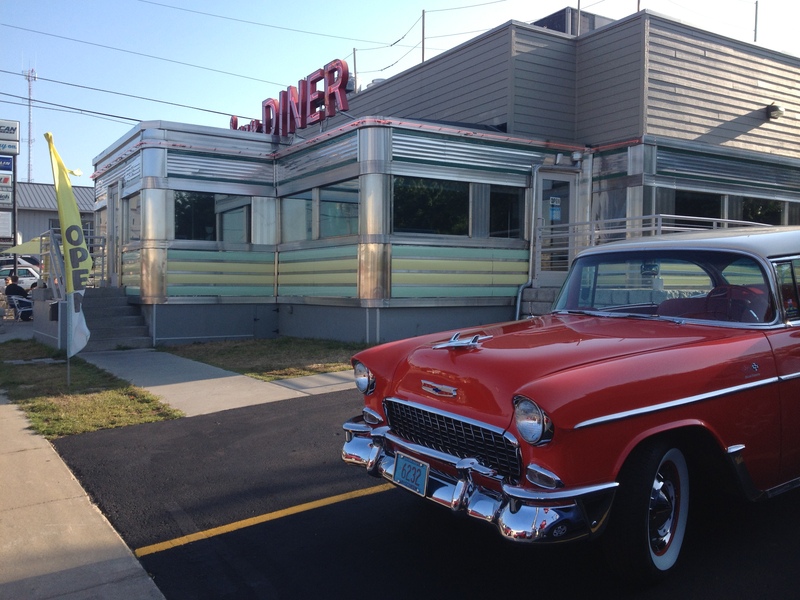 They added an additional building for freezer space, restrooms and additional seating was built first, then the restored diner was moved to its current location and attached to the building in May of 2012. Kudos to those who took the time and trouble to keep this building alive for new memories for this current and future generations. Log onto http://www.broadwaydinereats.com/ for more information!